Podcasts continue to break download records year after year. With a growth in popularity and expanding options, it’s good to have an inside scoop to know what podcasts are worth your time. After daily listening to a dozen podcasts for a few years, I want to share some of my absolute favorites. Here are 24 excellent podcasts to subscribe to today! Southern Hills Christian Church – Sunday morning services from a church making disciples who are making disciples. Connexus Church Audio Podcast – Whether church has been part of your life or not, these 40-minute messages can help you grow in your relationship with God. The Carey Nieuwhof Leadership Podcast – Leadership, change, and personal growth to help you lead like never before. theClub Leadership Podcast with Jim Wideman – Designed especially for NextGen & children’s ministry as well as any leader who wants to take advantage of over 40 years of children’s and family ministry experience. Leadership with Ryan Frank – Created to help you lead and communicate with excellence. Andy Stanley Leadership Podcast – A conversation designed to help leaders go further, faster. Perry Noble Leadership Podcast – For those who are ready to be challenged in their faith and stretched as leaders. Craig Groeschel Leadership Podcast – A conversation designed to help you make the most of your potential as you work to become the leader God created you to be. The Leadership Momentum Podcast – The world’s top church leaders candidly sharing their inspiration wisdom and bold advice. Growing Leaders Podcast – Practical advice on leading the next generation. This Is Your Life with Michael Hyatt – Intentional leadership to help you live with more passion, work with greater focus, and lead with extraordinary influence. The ChurchLeaders Podcast – Ground-breaking conversations with today’s top ministry leaders designed to help you lead better. 5 Leadership Questions – Five questions of different guests or about different leadership topics. ChurchMag Podcast – A candid discussion on church tech and creativity. Youth Ministry Answers – Questions from youth ministry for youth ministers. FourFiveSix.org – Great ideas to take your preteen ministry to the next level. Parent Cue Live – Designed to help families do family better; featuring parenting experts. D6 Podcast – Helping Children’s Ministers and Youth Ministers build an excellence Family Ministry. Focus on Marriage – Timeless wisdom from Focus on the Family that will challenge and encourage you in your marriage. Creative Sheep Podcast – Communicating God’s love through excellent content. TED Talks – Ideas worth sharing to inspire, intrigue and stir the imagination from some of the world’s leading thinkers and doers. The Social Media Examiner Show – A daily dose of marketing vitamin that will equip you to take your social media to an entirely new level. The Accidental Creative – Shares how to build practical, everyday practices that will help you stay prolific, brilliant and healthy in life and work. What should I add to my list? Is there a podcast that you listen to regularly and enjoy? I believe it is both the church’s and parent’s job to build a solid foundation for our children so they can have the confidence to stand up for Jesus. When they take ownership and identify who they are in Christ there will be able to stand strong! I believe that creating a family devotion time is going to help kids go a step further in their thinking and help make Christianity not just talked about or done on Sundays at church but a true way to live all the time. This summer let’s join together in developing a habit that will influence you child’s relationship with God. While a 90 day commitment might seem threatening, these daily 3 minutes together will impact them forever. Each of the 90 daily devotions are one page front and back. They are in a quick and easy to read format that will get the attention of everyone in your family and will help spark some really awesome God-conversations. 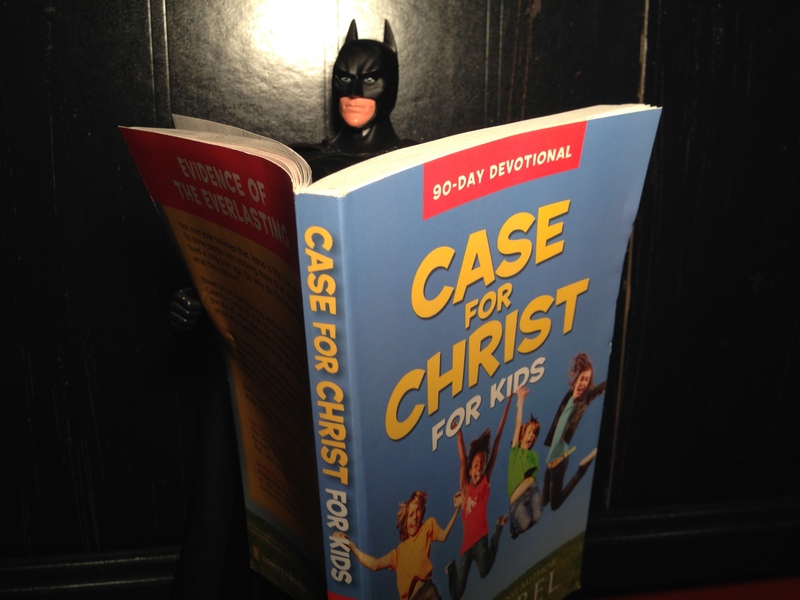 Cost: FREE for SoHills Families…and we will buy the book!